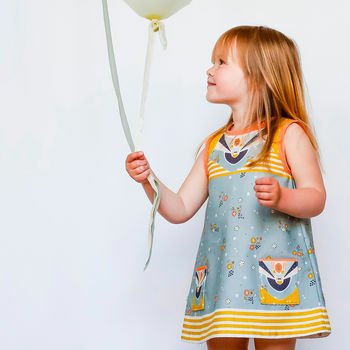 We adore these baby and toddler dress kits, made here in the UK by Little Ragsmith, a small, independent business we’re delighted to be working with. A luxury kit for a special little girl. 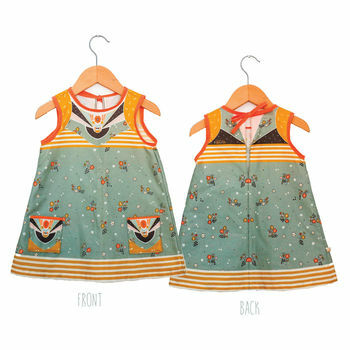 Make or gift this adorable and professionally designed children’s dress sewing kit. Easy to sew. This kit makes a fantastic christmas gift for sewers! 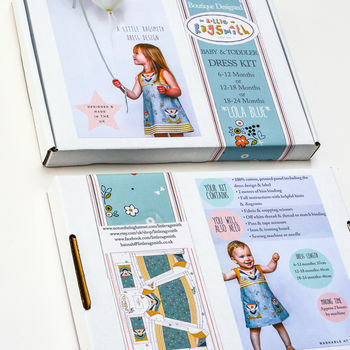 Also available is the matching doll and doll’s dress kit. 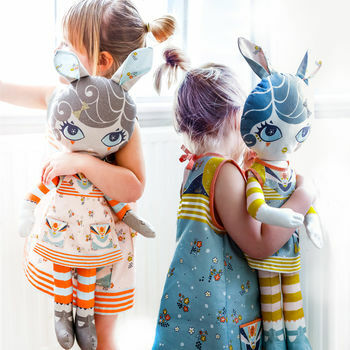 Your little girl will love to wear the same dress as her dolly. You can see the matching Doll & Dress Kit separately here or order both kits together for a reduced price in the drop down menu above. This dress kit is available in 2 colourways. A lovely greyish teal blue with a coral binding. See here for a subtle pale pink colourway. The kits can be made using a sewing machine or by hand. 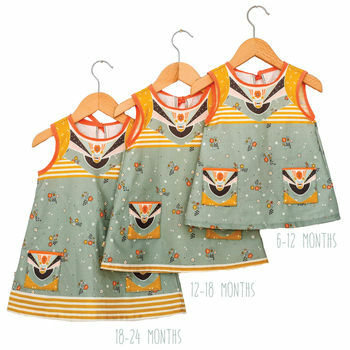 This dress kit was designed and made by Little Ragsmith and printed in the UK onto beautiful 100% cotton fabric. 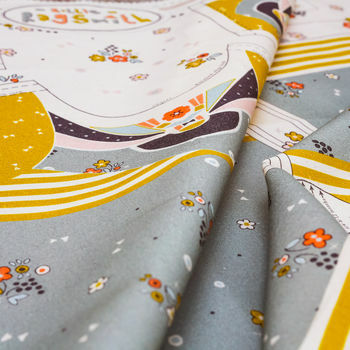 The kit includes: The beautifully printed dress panels for you to cut out and sew. It also contains the bias binding needed to finish the dress, with matching thread and full detailed instructions. The instructions include diagrams, photographs and helpful hints to make this a simple sewing project with easily achievable great results. You will also need: scissors, thread, pins, an iron and a sewing machine or needle.